net wrap | Why Is It Advantageous to Use Net Wrap for Baling? In creating round bales, livestock farmers choose between two practical options, namely the old and traditional twine and the net wrap. There are those who stick to the former for baling because they are comfortable with using it. However, animal farm owners who are open to embracing change would appreciate the switch to net wrap for baling, and there are several positive benefits of it. So, why consider net wrapping when creating round bales? If you want quicker and more efficient baling, then net wraps are your solution. For those who have experience in using it, they can attest that it only needs around 2 ½ turns for wrapping a bale. The truth it the use of net wraps is advantageous since it enables you to produce more bundles, especially when you compare it to the use of conventional twine. Some old-timers will tell you that twine is the more practical option when compared to net wrap since it is cheaper.However, what you must understand is that the more affordable upfront cost is not the only basis for you to know if you are cost-effective in baling. For instance, you must consider that with twine, you must hire more people to come up with the same output as that of a net wrap. Since the use of net wraps results in more efficient production, you can assume that the entire baling process is also faster. You may not feel the need to make the switch for the moment, but you will appreciate it if you talk to fellow farm owners who already decided to use a net wrap. Aside from faster baling and increased efficiency, the use of net wrap also corresponds to a significant reduction of baling loss since you do not need to spin the bale more than you usually do with twine. Therefore, you expect minimum leaf loss is dropping out of the baler. When there is a substantially reduced baling loss, it only means one thing – you are getting more out of your effort. Naturally, if you are capable of minimising losses, you should gain more from it. Well, the best way to produce more is by using net wraps. Moreover, if you are planning on doing more outdoor storage, the use of net wrap also effectively reduces losses. 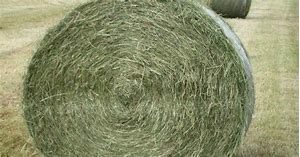 It is no secret that storing hay outside and with no shelter or roof will eventually result in faster spoilage. It is why most animal farm owners will go the extra length to build a shed or any closed space to store hay. However, it is not a feasible idea if you are managing a large farm with many livestock. Thankfully, you now can achieve minor losses due to spoilage by using a net wrap.